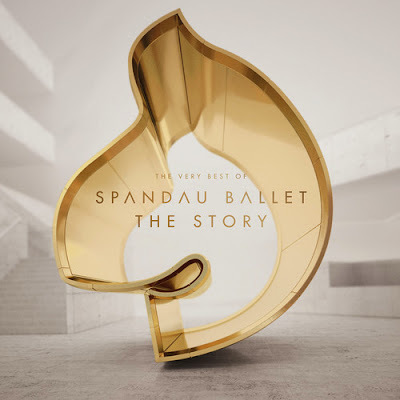 Discussions Magazine Music Blog: SPAZ reveals: "Why SPANDAU BALLET's "True" is my favorite song... EVER!" 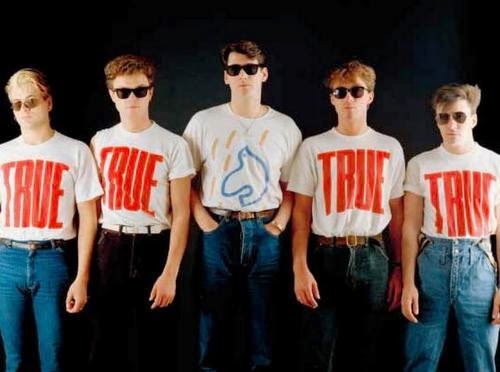 SPAZ reveals: "Why SPANDAU BALLET's "True" is my favorite song... EVER!" When somebody asks me what my favorite song of all time is, I think they are expecting a Beatles song... maybe something by The Jam, Split Enz, Squeeze or Madness... or even an Elvis Presley classic. But for some crazy reason, they are always surprised when I tell them that Spandau Ballet's "True" is the song that tops my list. And before anyone criticizes my choice, let me remind you that I've been ingesting practically every form music since I was two years old, I am keenly aware of what I like and what I don't like. I've had 50 years to figure it all out! So, why is Spandau Ballet's "True" my favorite song? Here is a question for you: why the f*ck not? It has everything I love about music - a gorgeous melody, a chorus that sticks in your head and, most importantly, it has FEELING. The song has a marvelously emotive arrangement that is soothing but not overly dramatic. And unlike ballads that get too bombastic in order to stimulate the listener's emotions, "True" naturally draws those emotions out. What is the song about? To be honest, I have no idea, but it stirs my soul much like many of my other favorite songs - The Beatles' "Long And Winding Road," The Moody Blues' "For My Lady," The Undertones' "Teenage Kicks," Squeeze's "Is That Love," Split Enz's "Stuff And Nonsense," Elvis Presley's "Suspicious Minds," The Records' "Starry Eyes", Right Said Fred's "Stand Up (For The Champions),' etc. Just the first 10 seconds of the intro is enough to send me right back to my 19 year old self, standing in Music Plus on Garden Grove Boulevard (in Garden Grove, CA), thumbing through LPs as the album was being played in-store the day it came out. I was digging the songs on the album, but when the intro to "True" came on, I stopped looking through the bins and just stood there, absorbing every note. By the time the song faded out, I knew I had to own the album! I had been a Spandau Ballet fan ever since I heard "To Cut A Long Story Short," the first single off of their debut album, Journeys To Glory, in '81. Heck, all of my friends were instant fans when we heard that hybrid slice of Synthpop and Funk. Tony Hadley's voice was more of a bellowing croon compared to his contemporaries, but it caught everyone's attention. By the time their second album, Diamond, came out in '82, I noticed that Gary Kemp (guitarist and songwriter) was writing catchier melodies overall, which I really dug. Though some may not have noticed, their sound seemed to be shifting away from the New Romantic Funk of their debut into new territory. But I was not prepared for the album True. The True album was a beacon of light in a dark world, a blue-eyed Soul album filled with melodic hooks galore. Gone was the funk of the debut (and most of Diamond), replaced by a smooth layer of cool courtesy of Gary's songwriting and Steve Jolley and Tony Swain's production. They band was still serious about their art, but it was obvious that they were having fun - you could hear it in the grooves. The album is a near-flawless gem - I can do without "Code Of Love" - and since I'm a Pop music geek, I fell in love with the LP immediately. But the song "True" was heaven to me. It warmed my heart when life turned cold, it raised me up when I was down, and it still brings great joy to my life to this day, thousands of listens later. I played it when I was laying sick in bed in the hospital, I played it when my heart was broken, I played it when I was filled with joy... I have played that song more times than any other song in my life. It always makes things better, no matter what. And to think Gary Kemp was only 23 or so when he wrote "True". I find that amazing and astonishing. When I was at that age, I was a drooling idiot. I still am, I'm afraid. Is "True" my favorite song because I first heard it during a great time of my life - in the prime of my youth? Is it my favorite because it fills me with innocence and hope? To be honest, I'd say yes to those statements but there is so much more to "True" than just that. I listen to plenty of songs that match that criteria but they don't have the same effect on me. "True" is the real deal. But bear this in mind: in order for "True" to be my favorite song, it has to be the album version, which is a good minute longer than the single edit most of you are familiar with. If I'm going to listen to "True", it HAS to be that version. The second runner up would be the 2001 mix, which restored the original - and inferior - song intro but extended the ending of the song. The third runner up would be the single edit, which is the one they play on the radio (and in the video). And yes, I am a geek because I know the difference... plus I also know the instrumental version AND the 2009 acoustic version! I continued to follow Spandau Ballet until their break up in 1990 and subsequent reunion in 2009. I've been an avid fan of their music and it often amazes me that some write them off as just another flash-in-the-pan '80s act. There certainly is a lot more to the band than the critics give them credit for. I could go on and on about them, but I'm attempting to focus on the song "True" without getting too distracted. That in itself is proving to be a very difficult task as you can tell... if you have read this far! So, I recently had a chance to meet the five members of Spandau Ballet in Hollywood at a private screening of their Soul Boys Of The Western World documentary. And I couldn't resist telling each of them just how important "True" was to me. While I did tell all five guys - who were all gracious and very kind - how much the song meant, I walked away wondering if they thought I was just another weirdo music fan who only knew the song "True"... or if they really understood. In the end, though, I guess it doesn't matter because I know how much it means to me, right? Finally, I know that some folks my find my love of "True" to be entirely uncool, but I'm not trying to be cool in the first place! My love of music is far more important than my desire to be accepted by other music fans or other music journalists. "Serious" music scribes can go on and wax poetically about Zappa, Big Star, Dylan, etc., but I love what I love, whether it is Spandau Ballet, The Osmonds, Status Quo or whoever else may be considered out-of-fashion at any given time... and I see nothing wrong with that. I don't believe in 'guilty pleasures' - you should love what you love regardless of what others say. Although I've written liner notes for nearly 30 reissues, written reviews for All Music Guide and I've had more than 100 interviews published in Discussions Magazine, I don't consider myself a music journalist or critic - I am a music fan first and foremost. I am just lucky enough to be able to express my emotions through a very limited vocabulary and hopefully inspire someone to listen to something. 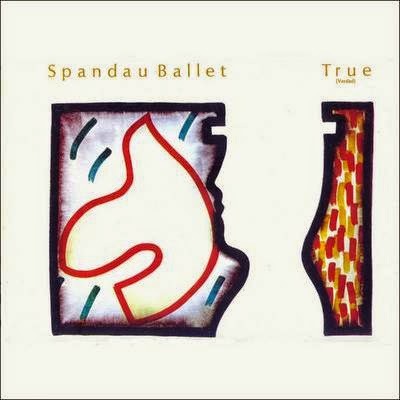 So, to get back to my first question: why is Spandau Ballet's "True" my favorite song of all time? Because it's a f***ing great song. Music is free. Thank you. Wish you have the best song!